Marvel has gotten very good at tricking audiences into believing something that isn't necessarily true. 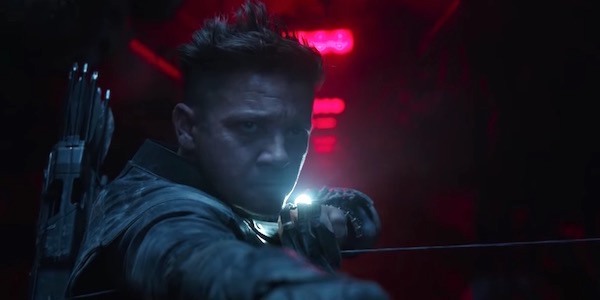 In particular, the Russo Brothers have become experts at using movie trailers and set photos as outlets of deception; whether it's convincing us Hawkeye was in Avengers: Infinity War, that Hulk was in the battle for Wakanda, or excluding Spider-Man from Captain America: Civil War. You probably shouldn't believe what the Russos are selling with Avengers: Endgame, either. As someone who has grown to hate the multiple revealing trailers studios foist upon us for every blockbuster, I applaud the Russos keeping their secrets. I think there are better ways than being deliberately deceptive, but if it means we get to go into Endgame clean, I'm for it. My gut tells me everything we saw in the teaser with Iron Man and Nebula is a ruse. I'm not sure they are where they appear to be. Something about Hawkeye feels off to me, too. Maybe it's because his return is so anticipated that I think fans will be particularly susceptible.